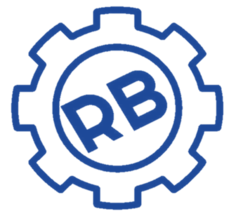 Join us Thursday, January 31st, from 5:00-6:30PM for Family Fit Night here at RBE. We will have activities ranging from karate to climbing! Healthy snacks will be available while supplies last. This evening has been a favorite among students and we hope you will be able to join us for the memorable evening. Did you know studies have regularly found that children who read to pets demonstrate improved reading confidence? In his self-titled book, Dog Man says "kids who read to dogs can improve their reading by up to 20%." In the same book, Cat Kid then argues that cats have the same benefit for children because "cats don't judge them." While we cannot argue the merits of cats v. dogs here, we can encourage students to read to cats, dogs, grandparents and anyone who is willing to listen and enjoy a good story. Chattanooga High School Center for Creative Arts (CCA) will hold its Tenth Annual “Dinner and the Arts” Gala on Friday, January 25, 2019. This artful event will feature a silent and live auction, a gourmet meal by Beast & Barrel restaurant, and a live dinner performance. Auction items include Dollywood tickets, local restaurant gift cards, original artwork, and much more. CCA students major in eight areas of the arts including: acting, communications, dance,instrumental music, musical theatre, technical theatre, visual art, and vocal music. Studentsfrom each art department will showcase their work during this special evening. What:CCA’s Annual Dinner & the Arts Gala - A silent and live auction, as well as a dinner show to benefit Chattanooga High School Center for Creative Arts (CCA) - Hamilton County’s fine arts magnet school for grades 6-12. Admission:Tickets are $35 per person. Tables and corporate sponsorship are also available. Tickets can be purchased online at www.centerforcreativearts.netor by calling CCA at 423.498.7365. Proceeds from this annual event are used to support CCA students and faculty in their academic and artistic programs. CCA is a public school; all donations are tax deductible. Carrots, onions and apples will be available from 3-5PM Tuesday, January 15th at Mt. Creek Church of Christ located at 985 Runyan Drive. These food drops, in collaboration with the Chattanooga Food Bank, now will be held every month on the 3rd Tuesday of the month (i.e. February 19th, March 19th and so on). 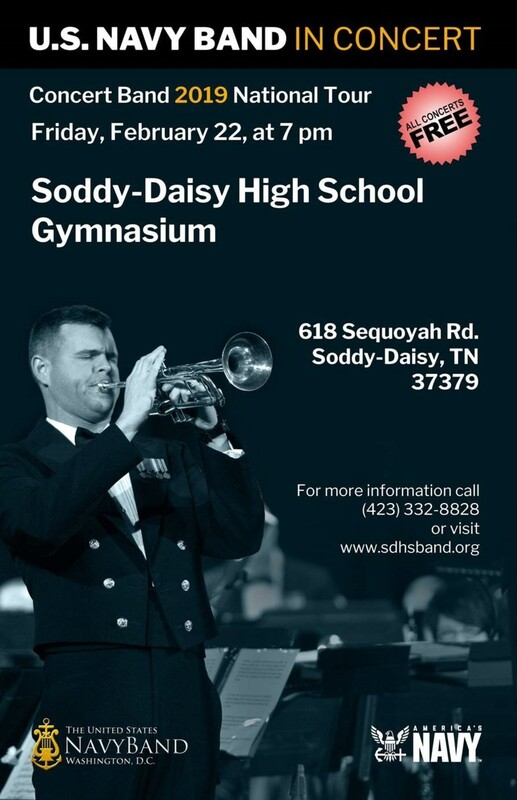 On February 22nd, the US Navy Concert Band from Washington D.C. will perform at Soddy-Daisy High School in the new gym. This concert is FREE, but aticket is required. Tickets are available on the Soddy Daisy High School band website,www.sdhsband.org.